Property 3: Charming cozy cottage secluded in private woods in great close in location. 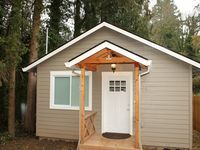 Property 25: This Lake Oswego Cottage has stunning views of the Tualatin River! 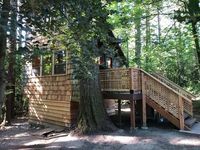 We really enjoyed staying in the tiny cabin, it made our visit to Portland feel a little more like a mini-adventure! The pull-out futon is large and really comfortable and the bedroom upstairs is lovely. The bbq and picnic table were definite bonuses, allowing us to eat in after being out for the full days. It was perfect for us as a family of four but would also be great for a couple. Easy to access highways 26 and 5, only half an hour from the centre of Portland. Thank you!